"The Riding Moon Creates a Monster" From the depths of space comes a meteor, which konks a guy in the head, causing the most logical thing to happen: sometimes he turns into a lizard and kills people. A fun episode, generally enjoyed by the three main fansites we track. The movie, which contains a character named Johnny Longbow, was actually co-written by Batman co-creator Bill Finger. Episode 1007 is available on YouTube. Premiered June 13, 1999. Six episodes left. Track of the Moon Beast was a film that was heartily recommended by Paul Chaplin, a man who, on occasion, is known to go mad and recommend terrible films to people. We said no to the film, but Paul sprayed us with a knock-out gas of his own design, and then with another gas that wipes out short blocks of a person's memory, and while we were out, asked Sci-Fi to secure the rights to it. I think it turned out well, but it's hard to trust my own memory, as Paul's formula worked on a more general level than I think even he had planned. I do remember laughing far more than is appropriate at Johnny Longbow's pompous demeanor and especially at his apparent pique over being asked what was in his stew. Perhaps it's best that I'm no longer a comedy writer because, when watching it months later I laughed hard at the following exchange. Johnny Longbone: "I know what you're thinking. " Crow: "I'm boring and my slide show eats." "A young man is transformed into a hideous "moon beast" due to a meteor fragment lodged in his body." Directed by Richard Ashe. Written by Bill Finger and Charles Sinclair. Starring Chase Cordell, Leigh Drake and Gregorio Sala. As mentioned above, the Bill Finger in the writing credits there is the same Bill Finger who co-created Batman but was blocked from receiving credit for years. There are parts of his IMDB bio that have issues: although he died in 1974, "He is known for his work on Batman v Superman: Dawn of Justice (2016), Justice League (2017) and Batman: The Killing Joke (2016)." Perhaps similarly, Track of the Moon Beast was released in 1976. I recall reading a review of this movie that joked there was a law passed in the 1970s which stipulated every single US state was required to create their own low budget monster movie, and this was New Mexico's entry. Ah yes, Johnny Longbow. The hero of Agincourt! although he died in 1974, "He is known for his work on Batman v Superman: Dawn of Justice (2016), Justice League (2017) and Batman: The Killing Joke (2016)." There's an explanation: after his contribution was finally recognized by DC/WB, he got "Batman Created By" credits on all the recent movies/TV shows alongside Bob Kane. If you look at their "Filmography" pages, there's quite a mess, especially the "Character Created By" listings for "Gotham". And the "known for his work" summary is probably auto-created from the most recent/highest rated/highest grossing/most commented items on his Filmography. I just learned yesterday that there's supposedly a clip out there somewhere of an outtake where Kevin Murphy is complaining about additives in bottled water and asks if he can be sure what's really in the water, and Mike Nelson takes a bottle and starts reading the ingredients label as the recipe for Johnny's stew which makes Kevin crack completely up. Anyone know where to find this video? Ah, short notice this time, but here goes! It's time for MST Club! In about 15 minutes after this comment goes up! 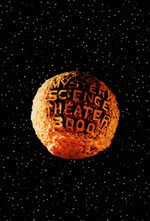 It's at https://cytu.be/r/Metafilter_MST3KClub! It consists of two episodes, which this week are 404 TEENAGERS FROM OUTER SPACE and 1007 TRACK OF THE MOON BEAST. Join us, won't you? confession time: I actually like "California Lady"
Same here, and it also resulted in a host segment that easily makes my top five of all time. Behind The Music parodies are pretty much always great.